South African chocolate brand, Beyers has just released some sweet, sweet news. 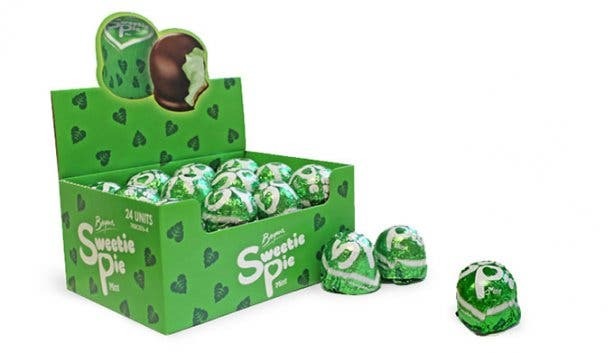 An all-new Sweetie Pie flavour; MINT! The most recent addition to the Sweetie Pie family – Mint – has the same crunchy wafer biscuit base and deliciously smooth chocolate coating as the original Sweetie Pie, but instead of a soft vanilla crème middle, it now has a fresh new minty whipped crème filling. Steadily adding to the chocolate-clan over the last couple years, Beyers now has four Sweetie Pie flavours available for South Africans to love and adore. In addition to the original vanilla and new mint flavour, others include strawberry (with a milk chocolate coating) and Sweetie Pie Black – the darker, decadent cousin that wraps the soft vanilla crème centre in rich, dark chocolate. Interested in other chocolate-y happenings around Cape Town? Check out the Coffee and Chocolate Festival in Green Point.